Although global sentiments remain weak for the moment, it is business as usual as developers move ahead with their property launches. In the Klang Valley in the next couple of months and even into the new year, developers will be offering apartments with small built-up areas. These are essentially serviced apartments but developers prefer to call them by various other names. Some of these names include the following - versatile office suites, small office home office (or Soho), lifestyle suites, small office versatile office or office suites. Whatever names they are called, all of them share several features. These properties are built on commercial titles, not residential titles. Because they are on land with commercial title, utility charges will be 25% to 30% higher than if they were built on residential land. And because they are located on commercial land, developers offer that “office” component, hence the name small office, home office. Maintenance charges will also be higher compared with projects on residential titles. A second feature they share is the built-up area. Most of these units are sized between 400sq ft and 600sq ft. Some may be as large as 800sq ft or even larger. Generally, however, they tend to hover around 500sq ft. Most of them will be one-room or studio apartments. Those with larger built-up areas may have two rooms. One may ask, if they are so small, how can it be a home and an office at the same time? This goes back to the land title again. The built-up of these properties are cut rather small because of high land cost. If the developer were to offer a three-bedroom apartment of about 1,200sq ft, these properties may be out of the reach of many. As it is, it is the smaller units which tend to sell faster. A close scrutiny will show that most of these units are located in pretty urban or commercial areas which means there are conveniences close by. In the case of Section 13, Petaling Jaya, properties like Centrestage, which is currently being constructed, will be close to the Section 14 commercial area. But besides Section 14, there are also the commercial areas of Section 17, Section 19 and SEA Park within a 10km radius. The project will, therefore, leverage on the old commercial areas in the vicinity. Two blocks are being developed by Tetap Tiara Sdn Bhd, the developer who built the Jaya One commercial blocks located at the Jalan University-Jalan 13/6 corner. Other serviced apartment projects are being planned in Section 13. Over in Ampang, Kuala Lumpur, serviced apartment projects are being planned in and around that area. The projects will leverage on the commercial areas in that locality. Developers are also featuring its proximity to the Petronas Twin Towers as a selling point. Serviced apartments are also being launched in relatively new areas in and around the Klang Valley. This includes Empire City by the Subang-based Empire group. Empire City is located on 25 acres of commercial land opposite Damansara Perdana. Blocks of office towers, serviced apartments and a hotel will be located along the Lebuhraya Damansara-Puchong. In Sri Damansara, TA Global Bhd will be having serviced apartments too. There will be other similar projects in Kota Damansara. The proliferation of these 500 sq ft apartments is also as a result of the financial crisis. Developers have learned that smaller units are easier to rent and sell than a 2,500 sq ft unit. The many empty condominiums around the Petronas Twin Towers is an example. Most of the units there are 2,000sq ft and above. Now those who are planning projects there are building units under 2,000sq ft. By cutting the size small, these smaller units are also more affordable. Here then is the catch. Buyers, fearing that property prices may go up further, are going for these smaller units with the hope to either flip sell them after completion, or to rent them out. But while developers are able to make their projects affordable, can they make them rentable? Most of these small units are priced around RM500,000. At that price, they have tempted many into signing on the dotted line. But the buyer must also consider the fact that instead of one big 2,500sq ft unit, there are now five small units, which means there are now a large number of small apartments. The density has increased. The higher the density, the longer it will take to rent out that unit, or to sell later on. Instead of one owner offering to rent or sell his 2,500 sq ft unit, a buyer is now competing with four others to rent, or to sell, their units. So do not make a decision because you can afford that RM500,000 unit, but consider rentability and other factors that contribute to that rentability, like accessibility and the availability of basic amenities. Assistant news editor Thean Lee Cheng suggests that potential investors consider rentability, and not just affordability. As a world-renowned eco-architect, Datuk Kenneth Yeang truly believes that buildings with environmental features are more than just about design and aesthetics. To him, there are definitely pure economic benefits from having green structures. “There is definitely a strong commercial case for green buildings,” he tells StarBizWeek in an interview. Yeang feels that the benefits of green buildings are still not properly communicated to the general public. “The benefits of investing in green buildings needs to be communicated better to investors and end-users. “Unless this is done, banks would not want to provide loans for such projects and developers would won’t want to be involved in it. “You may have a structure that is rated green but it does not portray that image and just looks like any other building around. 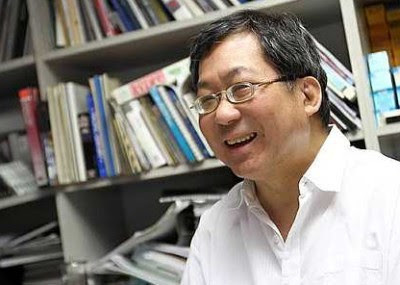 Yeang was recently bestowed the prestigious Merdeka Award in the Environment Category for his outstanding contribution to the development of design methods for ecological design and environmental planning. No stranger to winning accolades for his work, Yeang is humble about his latest achievement. Yeang, who pioneered the application of ecological principles to skyscrapers for more than three decades, has received awards for landmark buildings that include the Spire Edge Tower in Delhi, India, the National Library in Singapore, as well as the DiGi Technical Operation Centre in Subang Jaya. Yeang says Malaysia is ahead of many countries in promoting green buildings, adding however that there is more that can be done. “We have a Green Building Index and the Government also provides tax incentives for green buildings. T.R. Hamzah & Yeang Sdn Bhd was co-founded in 1976 with Tengku Robert Hamzah in Kuala Lumpur. The firm now has four offices in China, a sister office in Britain and associate offices in Japan and Australia. He says there are no immediate plans to expand further. The firm has been in existence over three decades, with projects in Europe, the United States and Asia. Key projects include the high-rise National Library Board building (Singapore), the 40-storey Eco-Tower at Elephant & Castle, the 24-storey IBM Building (Malaysia) and 15-storey Mesiniaga Building (IBM franchise) (Malaysia) and the Wirrina Cove Condominium (Australia). Yeang considers the profession a business and an art and he feels that having business knowledge is essential to be a successful architect. “Business knowledge is very important for an architect. “After my first year (as an architect), I took up business classes in the evenings for two years. “It cost me US$13,000 but it was worth it! “In fact, I should have done it earlier! It changed my outlook and made me realise that architects are quite silly, really,” he enthuses. Yeang says that architects are so engrossed in their work that they fail to realise it when they are being conned! He also notes that the architect profession is a stressful and competitive business – more so today than when he first started out. When not designing concepts for environment-friendly buildings, Yeang writes about them. In 1997 he published what is considered the seminal book on skyscrapers – The Skyscraper: Bioclimatically Considered: A Design Primer. Yeang has already written 12 books. “It does not mean that winners never lose. Winners lose too but the difference is that they always pick themselves up and continue fighting. Losers stay down and never get up,” he says. 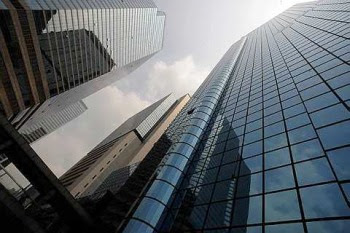 Kuala Lumpur: More Malaysian investment funds are buying properties overseas to diversify risk and portfolio and the trend is set to continue in 2012. Rahim & Co managing director Robert Ang said they are taking advantage of the current global downturn which has forced owners to sell properties below market price. The UK is still the hottest market for Malaysian investment funds and plenty of buildings are for sale currently, especially in London. “The banks are not lending as they used to. In fact, they are trying to recover some loans so there is a lot of pressure from owners to sell now,” he told Business Times in an interview yesterday. “The simple investment strategy is to buy at low prices and sell at a handsome profit. We can expect major deals next year,” Ang said. The Employees Provident Fund (EPF) has in the last eight months bought five grade A commercial buildings in central London for about RM5 billion. This is after the government allocated some RM10 billion for the pension fund to buy properties overseas to diversify its portfolio so it could earn better. The pension fund last year appointed ING Real Estate Investment Management and RREEF as consultants. Ang said the EPF is currently looking for commercial buildings in London, Australia and Europe to spend the balance RM5 billion. He also said that Permodalan Nasional Bhd, which has invested in properties in Australia last year, is eyeing several buildings in the UK. Last year, PNB bought an upmarket office block in Brisbane, Australia, called Santos Place, reportedly for more than A$290mil (RM928 million). The 37-storey building has 373,508 sq ft of lettable space with about two-thirds of that leased to Australian oil and gas giant, Santos. Ang said the Retirement Fund Inc (KWAP) has also expressed interest to buy properties in London while pilgrims fund Tabung Haji is looking at syariah-compliant buildings in Australia. He said KWAP is seriously looking at buying something in London and is mulling setting up a representative office there. Rich Malaysians are also snapping up properties for their personal investment in the same markets. "We have major shareholders of listed companies who are buying properties in London and Australia as part of their private investment. There were several deals done recently where they paid RM50 million to RM100 million for several properties," Ang said. NANNING: The China Malaysia Industrial Park in Qinzhou, Guangxi Zhuang Autonomous Region, will become Malaysia’s biggest development projects in China with a total area of 55 sq km. Leaders from both countries have agreed to turn the industrial park, near a deepwater sea port at the southern tip of Guangxi, into the iconic project for Sino-Asean cooperation. Prime Minister Datuk Seri Najib Tun Razak said the project had great potential as the park was located strategically close to the Asean market and north of Hainan Island, which is earmarked as China’s latest recreational resort. Najib said the initial stage of the development had already started and he hoped that the parties involved would finalise their plans and launch the project as soon as possible. Chinese Premier Wen Jiabao said the project would be the first industrial park joint venture between China and its Malaysian counterpart in the western region of China. 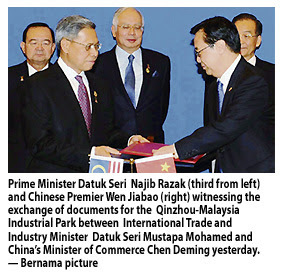 Najib and Wen witnessed the signing of the agreed minutes on the industrial park during Najib’s one-day working visit to Nanning for the 8th China-Asean Expo and China-Asean Business and Investment Summit. Meanwhile, Najib announced the appointment of Malaysia China Business Council joint-chairman Tan Sri Ong Ka Ting as prime minister’s special envoy to China. Nanning (China): Rimbunan Hijau Group has been shortlisted as the lead company from Malaysia to jointly develop the 55 sq km Qinzhou-Malaysia Industrial Park in south-west China, Prime Minister Datuk Seri Najib Razak said. Najib said Rimbunan Hijau will invite other Malaysian companies, which can include government-linked companies, to participate in the development of the industrial park. "They (Rimbunan Hijau) have strong financial back-up and good networ-king in China," he told the Malaysian media here yesterday. The Chinese government has invited Malaysian companies to take up a 49 per cent stake in the joint-venture company to develop the park. The first phase of the park, covering 15.1km area, costs about 4.8 billion reminbi (RM2.37 billion). 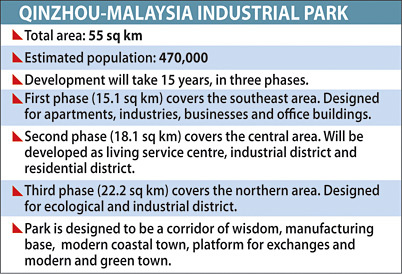 Najib said works on the large-scale industrial park have started and the project will be launched soon. He said the project is significant in the cooperation between Malaysia and China and will enhance trade between Asean and China as the park is near to Asean and is supported by a deepwater port. Malaysian companies will be able to demonstrate their expertise to handle projects of such a scale, he added. The prime minister said he has asked Malaysia-China Business Council chairman Tan Sri Ong Ka Ting to give special attention to the project. "I will appoint him as Prime Minister's Special Envoy to China, so that he will have more influence to deepen the relations between Malaysia and China," he said. The development of the industrial park, which will be done in three phases, is scheduled to be completed within 15 years. MALAYSIANS with deep pockets are making inroads into overseas property markets, especially in the United Kingdom and Australia, to take advantage of the low prevailing prices and potential for capital appreciation. Property consultants and agents have reported a growing interest in overseas properties. “Melbourne and Sydney have seen strong foreign demand over the last 18 to 24 months. However, due to the recent crisis in Europe, some funds have already divested out of Australia. In the UK, especially London, demand is strong from foreign high net worth individuals and private and sovereign funds,” CB Richard Ellis (CBRE) Malaysia executive director Paul Khong tells StarBizWeek in a recent interview. “We are seeing a positive trend of Malaysians heading overseas to the UK, Australia and even Singapore. Large funds like Permodalan Nasional Bhd (PNB), the Employees Provident Fund (EPF), Tabung Haji and Kumpulan Wang Persaraan are moving overseas and even private sector players TA group, SP Setia, Glomac and many more are heading in that direction. 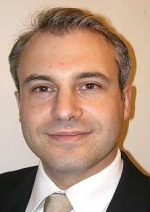 “On the residential front, we also see strong interests from individual investors continuing through to 2012,” he says. Khong says the pulling factor attracting locals to venture and invest in overseas properties is the strengthening ringgit factor given that the pound sterling is trading below RM5 along with more upcoming attractive launches. According to him, a key survey from Nationwide indicated that house prices in the UK fell 0.6% in August from July with an average price of a home costing about 165,900 (RM822,860). In Australia, he says although the currency is getting a “little expensive”, there are still good assets in the market for investment. “Brisbane is one of the fastest growing regions in Australia with a high population growth, and with the mining and resources boom, it will continue to enjoy a massive injection of government funds to ramp up mining related civil construction,” he says, adding that in Gold Coast, the market is much softer due to a slight oversupply. “In Australia, investment grade assets give attractive yields of more than 7% with a fixed yearly increment, compared to the UK at about 6% or less,” he says. He advises investors putting their money into foreign properties to do extensive research on their targeted investments before proceeding. “Investing anywhere is how one views and predicts the property market in that particular location and time. The principle is, of course, to “buy low and sell high”. This billion-dollar question is difficult to answer. “We predict that with the weak pound now and the worsening market conditions in Europe, London is a good destination to head to, but the crucial decision is on the type, location and quality of asset being considered and the final purchase price being agreed upon. Reference must be made to both exchange rate and yields,” Khong stresses. Last year, international property consultancy group CB Richard Ellis accounted for 44% of the total investment transactions worth 5.18bil in the London investment market in 2010, including the transaction of EPF's 1 Sheldon Place. Savills Rahim & Co head of overseas business development Christopher Hahn concurs that there is an increasing trend of Malaysians buying overseas property, and it is likely that interest will grow in North America also, but mainly from very experienced investors. “The attraction to investing overseas is the opportunity to balance a portfolio of investments that probably includes investments in Malaysia. As we are still in a recession, that means better currency exchange rates, lower prices and more distressed sellers,” he says. He says the attraction of foreign property has been amplified by the strength of the ringgit combined with a drop in capital values. He says the overall market outlook in Australia and UK is bad, and only gateway cities like London, Sydney, Melbourne are doing well. Hahn says Malaysians are attracted to these gateway cities as they are more familiar with them given the strong business and historical ties and a similar legal system with Malaysia which makes investment easier. “The economic uncertainties should not deter people from investing overseas because the fundamental benefit of investing in property (instead of stocks or high interest account) is still sound,” he says. He notes that most investors are interested in the good capital appreciation which in hot mature markets should average 10% a year over a 10-year period, while rental yields will be usually much lower. “The local market offers good rental yields, provided investors can secure a tenant. However, it has an oversupply of apartments and vacancy periods are likely to be very high. In contrast, London apartments are in high demand with very little vacancy but yields may be lower than a good Kuala Lumpur apartment with a good long-term tenant,” he says. The international property investment consultant and its associate Savills recorded about RM1.5bil in sales for Australia and UK since 2009, including a land transaction by SP Setia Bhd. SP Setia purchased a piece of land in Melbourne for A$30mil (RM96.6mil) in March 2010. Malaysian institutional funds have been snapping up premium properties in strategic cities across the world, targeting premium properties for their yields. Last year, PNB bought an upmarket office block in Brisbane called Santos Place, reportedly for more than A$290mil (RM934mil) from its previous owner Nilson Properties. The 37-storey building has 373,508 sq ft of lettable space with about two-thirds leased to Australian oil and gas exploration giant, Santos. The national oil corporation, Petroliam Nasional Bhd is also one of the tenants there. “Based on current conversion rate, PNB has made a paper gain of about 10% from this transaction,” said Khong. The acquisition marks PNB's first acquisition Down Under. Similarly in London, the EPF has been aggressively adding assets into its portfolio. The pension fund has so far confirmed the purchase of four British properties costing a total of 634mil. The EPF has allocated 1bil for its British property investment arm to utilise. Most of Tabung Haji's overseas investments are in Mecca and Madina in the Middle East. Recently, 1 Kingdom Street in London was also said to have caught the eyes of Malaysian institutional funds. The 235mil Grade A office building on Paddington Central Estate is located directly opposite the EPF's 1 Sheldon Square. With such buzz and interest, these gateway cities will continue to draw the interest of foreign investors, especially those flushed with funds from Asia. It would be interesting to see how this episode will pan out and how many of the landmark assets will become foreign-owned. PETALING JAYA: Permodalan Nasional Bhd (PNB) has acquired a total of 104.38 million shares, or a 5.76% stake, in SP Setia Bhd as at Oct 20 as well as 67.04 million warrants since announcing its takeover bid of the property developer on Sept 28. In filings with Bursa Malaysia, Maybank Investment Bank Bhd, acting on behalf of PNB, said the shares were bought in open and off-market transactions for RM3.8346 to RM3.8928 per share, while the warrants were bought for 87 to 90 sen each. PNB is offering to acquire SP Setia shares at RM3.90 per share and 91 sen per warrant. The mandatory general offer (MGO) was triggered last month when PNB and parties acting in concert (PACs) with it raised their collective stakes to 33.17%, slightly above the 33% threshold for triggering MGOs. According to the notice of takeover offer from Maybank Investment Bank, PNB intends to maintain the listing status of SP Setia. It said that if the offer was accepted by the holders of not less than nine-tenths in the value of the offer shares (excluding those shares held by the offeror and PACs), then PNB did not intend to invoke provisions to compulsorily acquire any remaining offer shares. PETALING JAYA: Pavilion real estate investment trust (REIT), which is en route to a listing on the Main Market, is offering 790 million units under its initial public offering (IPO) to retail and institutional investors. According to its prospectus exposure on the Securities Commission website, Pavilion REIT’s retail offering includes 31 million units for application by the public that would represent 1.03% of the trust’s total three billion units. Under the retail offering, four million units, representing 0.13%, will be allocated to eligible tenants of Pavilion REIT’s initial portfolio, the directors of Pavilion Reit Management Sdn Bhd and eligible employees of Pavilion Reit Management Sdn Bhd, Urusharta Cemerlang Sdn Bhd, Capital Flagship Sdn Bhd and Kuala Lumpur Pavilion Sdn Bhd. The institutional offering, consisting of 755 million units (representing 25.17% of the total issued units) would be for application by Malaysian and foreign institutional investors and selected investors. According to the prospectus exposure, the retail offering would be offered at 88 sen per unit while the price for the institutional offering would be determined by way of a bookbuilding process. “Based on an illustrative average offering price of 80 sen per offer unit, the offering is expected to raise gross proceeds of RM695.2mil arising from the issuance of 790 million offer units,” it said. The initial portfolio comprises the Pavilion Kuala Lumpur Mall and Pavilion Tower, which have a total net lettable area of 1.3 million sq ft and 167,407 sq ft respectively. The performance of Pavilion REIT may also be adversely affected by a number of local real estate market conditions, such as the competitiveness of competing retail and office properties or the supply and demand of retail and office properties.